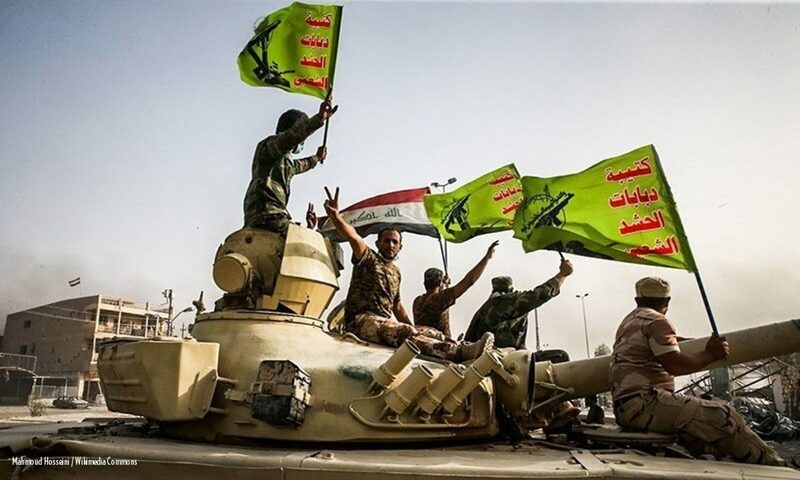 Popular Mobilization Forces (PMF) – This umbrella group reporting to the Iraqi government in Baghdad was created in mid-2014 to organize the popular mobilization of pre-existing and new militia groups and forces into the fight against ISIL. Although the most prominent groups are Shi’a forces from southern Iraq, the PMF includes sizeable Sunni forces, and a range of minority forces drawn from different areas. Kurdish Security Forces (KSF) – The majority of forces belonging to the Kurdistan Regional Government (KRG) are controlled by either the Kurdish Democratic Party, the Patriotic Union of Kurdistan, or belong to one of the mixed brigades under the Ministry of Peshmerga Affairs. However, there are also a range of local forces, many drawn from minority communities in liberated areas that act as subsidiary or affiliated forces to different KSF. Kurdistan Workers’ Party (PKK)-affiliated groups – Although forces affiliated with the PKK did not feature strongly in the field research, they are an important part of the LHSF landscape in Iraq and are distinct from either PMF or KSF. PKK forces also have a number of local affiliates in liberated areas, many drawn from minority communities in the areas examined in the research. Following the fall of Mosul and ISIL’s rapid expansion across northern Iraq, in June 2014, Iraq’s most important cleric, Grand Ayatollah Ali al-Sistani issued a fatwa that acted as a call to arms and prompted a mass mobilization effort, collectively described as the Popular Mobilization Force (PMF), also known by the Arabic term al-Hashd al-Shaabi. The PMF were organized under the Prime Minister’s office, and granted some quasi-governmental status and government salaries. As of February 2016, 120,000 PMF salaries were on budget, although it is difficult to know how closely that number approximates actual fighting forces, potentially as few as 60,000.1 Then in November 2016, Parliament passed a law legalizing PMF, granting them equivalent ranks, benefits, and subject to the same military jurisdiction as ISF. The PMF comprises a minimum of 50 subgroups, although new groups emerge periodically in the ongoing conflict. Some of these groups have been longstanding since the 1980s, while others formed more recently in response to the threat from ISIL following the fatwa by Al-Sistani.2 The Popular Mobilization Commission, led by National Security Advisor Falih al-Fayyadh,3 reports to the prime minister’s office. However, the largest and most long-standing Shi’a PMF groups are more responsive to their own militia leaders, and some more directly responsive to Iran than to Iraqi leaders. Most PMF forces draw predominantly from Shi’a populations in southern Iraq, but since 2014 sizeable Sunni forces have also been incorporated into the PMF umbrella, particularly once the PMF was legalized in 2016 as the only legitimate route for having a non-state or substate armed force. The most significant mobilization effort was a partially US-sponsored initiative known as the Tribal Mobilization Force (TMF) in Anbar and Ninewa that sought to recruit tribal forces to play a role as local ​“hold” forces in their areas once liberated from ISIL. Shi’a Turkmen, Shabak, Christian and Yezidi forces have also been gradually mobilized from across the liberated areas, and now form units within the PMF. Many are directly recruited or affiliated with larger Shi’a PMF operating in their local areas. This charts below summarize some of these different PMF forces, focusing in particular on those that were prominent in the field research. This section will be organized based on different affiliations or dynamics among these different PMF forces: 1) the larger Shi’a PMF that receive substantial support and are affiliated with Iran; 2) other Shi’a PMF who have a different position and relationship with both the Iran and Iraq governments; 3) Sunni PMF; 4) Other minority forces within the PMF. Many of the largest and most influential forces within the PMF are heavily influenced (and some controlled directly) by Iran. These include the Badr Organization, the League of the Righteous (Asa’ib Ahl al-Haqq), Hezbollah Brigades (Kata’ib Hizb-Allah), and the Khorasani Brigades. These militias are the best organized, best equipped and paid (with reports that Iran supports their salaries as well as equipment), and play a leadership role among other groups within the PMF. The leader of Badr Organization Hadi al-Amiri and the leader of the Hezbollah Brigades Abu Mahdi al-Muhandis significantly direct inter-PMF cooperation. Although there is imperfect command and control in the PMF and no direct linear responsibility, they are de facto responsible for much of the tactical and political decision-making of the PMF, and may direct operations for multiple PMF groups, including outside of their own groups. There are also a number of other prominent, predominantly Shi’a groups that fall under the PMF umbrella but must be distinguished from the above groups because they have a different relationship with the Iraqi (and Iranian) state, and they have a degree of independence from the other Shi’a PMFs and prominent PMF figures like al-Amiri and al-Muhandis (and some openly reject this leadership or oppose these other PMF groups). These range from militias that openly claim they do not accept orders from Iran or Iraq (most prominently the Peace Brigades) and militias more closely linked in with ISF leadership and command. This category of Shi’a PMF is also different because most commentators assume that these forces would be more willing or ready to demobilize once the ISIL threat is extinguished than those more closely linked to Iran. Mobilization of Sunni forces under the PMF was much slower than with Shi’a forces, in part due to past marginalization of Sunni actors from security forces and governance positions, and the disbandment of the Sunni Awakening groups in prior years. With the formalization of PMF as part of the legal security forces in November 2016, other Sunni forces that had been mobilized, and remained somewhat independent from the leadership of the Shi’a-dominated PMF, were formally swept under the larger PMF umbrella. Locals tend to nonetheless still make a distinction between the larger hashd forces and the so-called hashd al-ashair, or tribal forces. Rather than following national mobilization patterns, most tribal forces tend to be locally mobilized, and operate locally, with significant differences in mobilization patterns across governorates, and even across different cities or subdistricts within the same governorate. They often are strongly identified with their particular Sunni leader (as with former governor Nujaifi’s forces), or with the larger forces they affiliate with. While some are more loyal to and take orders directly from Iraqi forces and local authorities, others strongly affiliate with and respond to orders from larger Shi’a PMF (a strong pattern among Sunni forces in Salah ad-Din). This can vary on a per unit basis, though, making it difficult to create large categorizations of the nature of these forces. A number of minority groups have set up their own forces under the Popular Mobilization Forces. Some fall under the general PMF command, others have integrated into one of the larger, Iranian-affiliated PMF forces, such as Badr. The Kurdish Security Forces, also referred to as Peshmerga, comprises a range of forces, including traditional army forces, military and intelligence units, and others functioning more like local police. They have a total estimated strength of 190,000 to 250,000 fighters, but there are substantial ghost soldiers or part-time soldiers within those numbers.50 The Peshmerga’s level of command, control and organization puts it closer to a state force. They are the only legally recognized regional force under Article 117 of the 2005 Iraqi Constitution (which allows regions to establish their own internal security services, the ​“police, security forces and guards of the region”). Although Peshmerga are dominant in KRG territory, they have also long been active in some of the Disputed Territories that are jointly claimed by Iraq and the KRG, particularly following the 2014 ISIL crisis and collapse of Iraqi government authorities in these areas. The most prominent KSF are loyal to one of the two main Kurdish political parties, the Kurdish Democratic Party (KDP) and the Patriotic Union of Kurdistan (PUK). The Peshmerga as a Kurdish fighting force grew out of Mustafa Barzani’s KDP guerrilla fighting against Baghdad in the 1970s. Due to political divisions, the PUK formed their own Peshmerga in the mid-1970s. The two parties with their forces continued to grow apart, culminating in a bloody civil conflict in 1994. A Peace Agreement in 1998 achieved nominal unification between the KDP and PUK Peshmerga forces, but most Peshmerga, including its two largest fighting forces, Division 70 and Division 80, continue to report to the PUK’s and KDP’s Political Bureaus. KDP-commanded Peshmerga are traditionally supported by Turkey, but ties have recently eroded due to KRG’s perceived cooperation with PKK-affiliated forces in the war against ISIL. The PUK has been supported by Iran, though the degree of affiliation and assistance is unclear. There is also a nominally independent, integrated Peshmerga force of 14 brigades, created in 2009 and 2010, called the Regional Guard Brigades. They fall under the Ministry of Peshmerga (MoP), and at a brigade level leadership positions are distributed along a 50 – 50 principle: brigades headed by KDP commanders have PUK deputy commanders, and vice versa. In practice, however, most Regional Guard Brigades still break down along party lines. For example, the political parties and not the Ministry of Peshmerga Affairs appoint sector commanders responsible for ground operations.51 International Coalition members provide substantial training and equipment to Regional Guard Brigades. One of the main initiatives is the Kurdistan Training Coordination Centre (KTCC), a major training and equipment center for the MoP brigades, with equipment and weapons provided by the US and 7 other countries providing training. Other international actors also provide training and equipment to Peshmerga forces unilaterally, including Canada, and France. While the vast majority of the Peshmerga are drawn from KRG’s Kurdish population, minorities (including Sunni Arabs, Christians and Yazidis) can and do join the Peshmerga as soldiers. Some have formed minority brigades within the Peshmerga, particularly following the 2014 crisis and the expansion of Peshmerga control to Disputed Territories. Several of these minority brigades will also be discussed below. A number of minority groups have established forces under the Peshmerga, including Shabak, Kakai, Yazidis and Christians. There is generally little information available about these groups and their conduct in war. They generally report to the Ministry of Peshmerga Affairs, and work within the KDP-led structure. Although the PKK and its affiliates did not figure predominantly in the field research sites, the PKK are relevant actors in terms of LHSF dynamics in the general areas where research was conducted. The YPG is widely lauded for saving thousands of Yezidis in Sinjar, Iraq by opening up an escape corridor in August 2014 to Rojava, Syria. The PKK’s and its affiliates’ success in Iraq and Syria have created a new center of gravity for LHSFs that do not sympathize with the KRG’s Peshmerga or Baghdad. For example, the most active Yazidi self-defense force, the Sinjar Resistance Units (YBS), is trained and supported by the PKK and the YPG. The Sinjar Resistance Units (YBS), for instance, are hostile to KRG-affiliated forces operating on the Zummar-Rabi’a front; they claimed that they could stage operations in Sinjar, which could potentially lead to conflict with the PKK-supported YBS. 1 Michael Knights, ​“Iraq’s Popular Demobilization,” Al-Jazeera English, February 26, 2016, http://​www​.aljazeera​.com/​i​n​d​e​p​t​h​/​o​p​i​n​i​o​n​/​2​0​1​6​/​0​2​/​i​r​a​q​-​p​o​p​u​l​a​r​-​d​e​m​o​b​i​l​i​s​a​t​i​o​n​-​1​6​0​2​2​4​0​5​0​9​3​9​1​7​8​.html; Michael Knights, The Future of Iraqi Armed Forces (Baghdad: Al-Bayan Center for Planning and Studies, 2016). 2 Of the approximately 120,000 on budget, approximately 60,000 are estimated to have pre-existed the 2014 crisis, whereas 40,000 have been organized since 2014. Ibid. 3 For his profile, see, ​“فلاح فياض قوته في صمته,” Asharq Al-Awsat, August 5, 2015, https://​goo​.gl/​b​J1Nge. 4 ​“Badr Organization,” Counter Extremism Project, accessed August 18, 2017, http://​www​.coun​terex​trem​ism​.com/​t​h​r​e​a​t​/​b​a​d​r​-​o​r​g​a​n​i​z​ation; Susannah George, ​“Breaking Badr,” Foreign Policy, November 6, 2014, http://​for​eign​pol​i​cy​.com/​2​0​1​4​/​1​1​/​0​6​/​b​r​e​a​k​i​n​g​-badr. 6 Dylan O’Driscoll and Dave van Zoonen, The Hashd al-Shaabi and Iraq: Subnationalism and the State (Erbil: Middle East Research Institute, 2017), http://​www​.meri​-​k​.org/​w​p​-​c​o​n​t​e​n​t​/​u​p​l​o​a​d​s​/​2​0​1​7​/​0​3​/​P​M​F​-​R​e​p​o​r​t​-​0​.​2.pdf. 8 Loveday Morris, ​“Appointment of Iraq’s New Interior Minister Opens Door to Militia and Iranian Influence,” The Washington Post, October 18, 2014, https://​www​.wash​ing​ton​post​.com/​w​o​r​l​d​/​a​p​p​o​i​n​t​m​e​n​t​-​o​f​-​i​r​a​q​s​-​n​e​w​-​i​n​t​e​r​i​o​r​-​m​i​n​i​s​t​e​r​-​o​p​e​n​s​-​d​o​o​r​-​t​o​-​m​i​l​i​t​i​a​-​a​n​d​-​i​r​a​n​i​a​n​-​i​n​f​l​u​e​n​c​e​/​2​0​1​4​/​1​0​/​1​8​/​f​6​f​2​a​3​4​7​-​d​3​8​c​-4743 – 902a-254a169ca274_story.html. 9 O’Driscoll and van Zoonen, Hashd al-Shaabi and Iraq. 11 ​“Iraq: Ban Abusive Militias from Mosul Operation,” Human Rights Watch, July 31, 2016, https://​www​.hrw​.org/​n​e​w​s​/​2​0​1​6​/​0​7​/​3​1​/​i​r​a​q​-​b​a​n​-​a​b​u​s​i​v​e​-​m​i​l​i​t​i​a​s​-​m​o​s​u​l​-​o​p​e​r​ation; ​“Iraq: Ethnic Fighting Endangers Civilians Kurds, Turkmen, Arabs Clash in Northern District,” Human Rights Watch, January 13, 2016, https://​www​.hrw​.org/​n​e​w​s​/​2​0​1​6​/​0​1​/​1​3​/​i​r​a​q​-​e​t​h​n​i​c​-​f​i​g​h​t​i​n​g​-​e​n​d​a​n​g​e​r​s​-​c​i​v​i​lians; Human Rights Watch, Ruinous Aftermath. Militias Abuses Following Iraq’s Recapture of Tikrit (New York: Human Rights Watch, 2015), https://​www​.hrw​.org/​r​e​p​o​r​t​/​2​0​1​5​/​0​9​/​2​0​/​r​u​i​n​o​u​s​-​a​f​t​e​r​m​a​t​h​/​m​i​l​i​t​i​a​s​-​a​b​u​s​e​s​-​f​o​l​l​o​w​i​n​g​-​i​r​a​q​s​-​r​e​c​a​p​t​u​r​e​-​t​ikrit. 12 O’Driscoll and van Zoonen, Hashd al-Shaabi and Iraq. 13 Martin Chulov, ​“Controlled by Iraq, the Deadly Militias Recruit Iraq’s Men to Die in Syria,” Guardian, March 12, 2014, https://​www​.the​guardian​.com/​w​o​r​l​d​/​2​0​1​4​/​m​a​r​/​1​2​/​i​r​a​q​-​b​a​t​t​l​e​-​d​e​a​d​-​v​a​l​l​e​y​-​p​e​a​c​e​-​syria. 14Abu Dura and Mustafa al Sheibani were added to the US global terrorist lists in January 2008, and are reported to have returned to Iraq and implicitly re-engaged. A number of other former leaders or commanders from the League of the Righteous were also added to the US global terrorist list for their coordination of or engagement in attacks against US forces from 2006 to 2009, but it is unclear if some of these other commanders have re-engaged with the League of the Righteous in current operations. Bill Roggio, ​“US Airstrikes in Amerli Supported Deadly Shi’a Group,” Long War Journal, September 2, 2014, http://​www​.long​war​jour​nal​.org/​a​r​c​h​i​v​e​s​/​2​0​1​4​/​0​9​/​u​s​_​a​i​r​s​t​r​i​k​e​s​_​i​n​_​a​m​e.php. 15 See supra note 11. 16 W.G. Dunlop, ​“Iraqi Sunnis Joined Feared Shi’a Militias to Fight IS,” Yahoo News, March 13, 2015, https://​www​.yahoo​.com/​n​e​w​s​/​i​r​a​q​i​-​s​u​n​n​i​s​-​j​o​i​n​-​f​e​a​r​e​d​-​s​h​i​i​t​e​-​m​i​l​i​t​i​a​-​b​a​t​t​l​e​-​2​1​3​9​2​1​3​9​9​.​h​t​m​l​?​r​ef=gs. 17 Dina al-Shibeeb, ​“Iraqi Tribes Ready to Join Anti-ISIS Volunteer Forces, Says PMU Official,” Al-Arabia English, September 28, 2015, http://​eng​lish​.alara​biya​.net/​e​n​/​p​e​r​s​p​e​c​t​i​v​e​/​p​r​o​f​i​l​e​s​/​2​0​1​5​/​0​9​/​2​8​/​I​r​a​q​i​-​t​r​i​b​e​s​-​r​e​a​d​y​-​t​o​-​j​o​i​n​-​a​n​t​i​-​I​S​I​S​-​v​o​l​u​n​t​e​e​r​-​f​o​r​c​e​s​-​s​a​y​s​-​P​M​U​-​o​f​f​i​c​i​a​l​-​.html. 18 Babak Dehghanpisheh, ​“Special Report: The Fighters of Iraq Who Answer to Iran,” Reuters, November 12, 2014, http://​www​.reuters​.com/​a​r​t​i​c​l​e​/​u​s​-​m​i​d​e​a​s​t​-​c​r​i​s​i​s​-​m​i​l​i​t​i​a​s​-​s​p​e​c​i​a​l​r​e​p​o​r​t​-​i​d​U​S​K​C​N​0​I​W​0​Z​A​2​0​1​41112. 20 ​“Treasury Designates Individual, Entity Posing Threat to Stability in Iraq,” U.S. Department of Treasury Press Center, July 2, 2009, https://​www​.trea​sury​.gov/​p​r​e​s​s​-​c​e​n​t​e​r​/​p​r​e​s​s​-​r​e​l​e​a​s​e​s​/​P​a​g​e​s​/​t​g​1​9​5​.aspx; ​“Designation of Kata’ib Hizballah as a Foreign Terrorist Organization,” U.S. Department of State, accessed August 18, 2017, http://​www​.state​.gov/​r​/​p​a​/​p​r​s​/​p​s​/​2​0​0​9​/​j​u​l​y​/​1​2​5​5​8​2.htm. 21 O’Driscoll and van Zoonen, Hashd al-Shaabi and Iraq. 22 Nour Malas, ​“The Militia Commander Beating Back ISIS in Iraq Makes the U.S. Nervous,” Wall Street Journal, June 2, 2016, http://​www​.wsj​.com/​a​r​t​i​c​l​e​s​/​t​h​e​-​m​i​l​i​t​i​a​-​c​o​m​m​a​n​d​e​r​-​b​e​a​t​i​n​g​-​b​a​c​k​-​i​s​i​s​-​i​n​-​i​r​a​q​-​m​a​k​e​s​-​t​h​e​-​u​-​s​-​n​e​r​v​o​u​s​-​1​4​6​4​8​90675. 23 See supra note 11. 24 O’Driscoll and van Zoonen, Hashd al-Shaabi and Iraq. 26 “‘The Archangel of Death’ Fighting Islamic State,” BBC News, March 18, 2015, http://​www​.bbc​.com/​n​e​w​s​/​b​l​o​g​s​-​t​r​e​n​d​i​n​g​-​3​1​9​13278. 27 Richard Spencer, ​“Iraqi Shi’a Militia Who Fought ISIL Condemned for Revenge Beheadings,” Telegraph, September 10, 2014, http://www.telegraph.co.uk/news/worldnews/middleeast/iraq/11087584/Iraqi-Shi’a-militia-who-fought-Isil-condemned-for-revenge-beheadings.html; ​“Video Purports to Show Militia Atrocity in Iraq,” Al Jazeera, May 31, 2015, http://​www​.aljazeera​.com/​n​e​w​s​/​2​0​1​5​/​0​5​/​v​i​d​e​o​-​p​u​r​p​o​r​t​s​-​s​h​o​w​-​m​i​l​i​t​i​a​-​a​t​r​o​c​i​t​y​-​i​r​a​q​-​1​5​0​5​3​1​1​5​0​8​1​5​0​3​6​.html. 29 Ned Parker, Babak Dehghanpisheh and Isabel Coles, ​“How Iran’s Military Chief Operates in Iraq,” Reuters, February 24, 2015, http://​www​.reuters​.com/​i​n​v​e​s​t​i​g​a​t​e​s​/​s​p​e​c​i​a​l​-​r​e​p​o​r​t​/​m​i​d​e​a​s​t​-​c​r​i​s​i​s​-​c​o​m​m​i​ttee/. 30 Bilgay Duman, A New Controversial Actor in Post-ISIS Iraq: Al-Hashd Al-Shaabi, trans. Sercan Doğan (Ankara: ORSAM, 2015), http://​www​.orsam​.org​.tr/​f​i​l​e​s​/​R​a​p​o​r​l​a​r​/​r​a​p​o​r​1​9​8​/​1​9​8​e​n​g.pdf. 31 O’Driscoll and van Zoonen, Hashd al-Shaabi and Iraq. 34 ​“Mahdi Army,” Stanford Mapping Militant Organizations, last updated January 17, 2017, http://​web​.stan​ford​.edu/​g​r​o​u​p​/​m​a​p​p​i​n​g​m​i​l​i​t​a​n​t​s​/​c​g​i​-​b​i​n​/​g​r​o​u​p​s​/​v​i​ew/57. 35 O’Driscoll and van Zoonen, Hashd al-Shaabi and Iraq. 42 Zana Gulmohamad, ​“Unseating the Caliphate: Contrasting the Challenges of Liberating Fallujah and Mosul,” CTC Sentinel 9, no. 10 (October 2016):16, https://​www​.ctc​.usma​.edu/​p​o​s​t​s​/​u​n​s​e​a​t​i​n​g​-​t​h​e​-​c​a​l​i​p​h​a​t​e​-​c​o​n​t​r​a​s​t​i​n​g​-​t​h​e​-​c​h​a​l​l​e​n​g​e​s​-​o​f​-​l​i​b​e​r​a​t​i​n​g​-​f​a​l​l​u​j​a​h​-​a​n​d​-​mosul. 43 O’Driscoll and van Zoonen, Hashd al-Shaabi and Iraq. 44 See supra note 11. 45 Philip Smyth, ​“Quwat Sahl Nīnawā: Iraq’s Shi’a Shabak Get Their Own Militia,” Jihadology, January 12, 2015, http://jihadology.net/2015/01/12/hizballah-cavalcade-quwat-sahl-ninawa-iraqs-Shi’a-shabak-get-their-own-militia/. 46 Aymenn Jawad Al-Tamimi, ​“Journeys to Mosul,” Middle East Review of International Affairs, June 15, 2017, http://​www​.mefo​rum​.org/​6​7​6​9​/​j​o​u​r​n​e​y​s​-​t​o​-​mosul. 47 Belkis Wille, ​“Integrating Iraqi Fighting Forces Is Not Enough,” Human Rights Watch, January 6, 2017, https://​www​.hrw​.org/​n​e​w​s​/​2​0​1​7​/​0​1​/​0​6​/​i​n​t​e​g​r​a​t​i​n​g​-​i​r​a​q​i​-​f​i​g​h​t​i​n​g​-​f​o​r​c​e​s​-​n​o​t​-​e​nough. 48 Jack Moore, “‘4,000-Strongs’ Christian Militias Formed to Fight ISIS in Northern Iraq,” Newsweek, February 4, 2015, http://​europe​.newsweek​.com/​4​0​0​0​-​s​t​r​o​n​g​-​c​h​r​i​s​t​i​a​n​-​m​i​l​i​t​i​a​-​f​o​r​m​e​d​-​f​i​g​h​t​-​i​s​i​s​-​n​o​r​t​h​e​r​n​-​i​r​a​q​-​3​0​4​3​7​1​?​rm=eu. 49 PAX for Peace, Sinjar after ISIS: Returning to Disputed Territory (Utrecht: PAX for Peace, 2016), https://​www​.pax​for​peace​.nl/​s​t​a​y​-​i​n​f​o​r​m​e​d​/​n​e​w​s​/​s​i​n​j​a​r​-​a​f​t​e​r​-​i​s​i​s​-​r​e​t​u​r​n​i​n​g​-​t​o​-​d​i​s​p​u​t​e​d​-​t​e​r​r​itory. 51 Wladimir van Wilgenburg and Mario Fumerton, Kurdistan’s Political Armies: The Challenge of Unifying the Peshmerga Forces (Washington, DC: Carnegie Endowment for International Peace, 2015), http://​carnegieen​dow​ment​.org/​f​i​l​e​s​/​A​C​M​R​_​W​i​l​g​e​n​b​u​r​g​F​u​m​e​r​t​o​n​_​K​u​r​d​i​s​t​a​n​_​E​n​g​l​i​s​h​_​f​i​n​a​l.pdf. 53 Christine McCaffray van den Toorn, ​“The Wars after the War for Sinjar. How Washington Can Avert a New Civil War,” War on the Rocks, June 20, 2010, http://​waron​the​rocks​.com/​2​0​1​6​/​0​6​/​t​h​e​-​w​a​r​s​-​a​f​t​e​r​-​t​h​e​-​w​a​r​-​f​o​r​-​s​i​n​j​a​r​-​h​o​w​-​w​a​s​h​i​n​g​t​o​n​-​c​a​n​-​a​v​e​r​t​-​a​-​n​e​w​-​c​i​v​i​l​-war/; Mohammed A. Salih, ​“With the Islamic State Gone from Sinjar, Kurdish Groups Battle for Control,” Al-Monitor, December 10, 2015, http://​www​.al​-mon​i​tor​.com/​p​u​l​s​e​/​o​r​i​g​i​n​a​l​s​/​2​0​1​5​/​1​2​/​i​r​a​q​-​k​u​r​d​i​s​t​a​n​-​s​i​n​j​a​r​-​l​i​b​e​r​a​t​e​d​-​i​s​i​s​-​h​e​g​e​m​o​n​y​.html. 54 Hisham Arafat, ​“Syrian Kurdish Women Join Peshmerga,” Kurdistan 24, January 12, 2016, http://​www​.kur​dis​tan24​.net/​e​n​/​s​p​o​r​t​/​7​5​9​52338 – 772a-453d-bef6-24b82a1adf72/Syrian-Kurdish-women-join-Peshmerga. 56 David Ignatius, ​“How the Kurds’ Neighbors Play Games to Block the Expansion of ​‘Greater Kurdistan’,” Washington Post, May 27, 2016, https://​www​.wash​ing​ton​post​.com/​b​l​o​g​s​/​p​o​s​t​-​p​a​r​t​i​s​a​n​/​w​p​/​2​0​1​6​/​0​5​/​2​7​/​k​u​r​d​i​s​h​-​f​a​c​t​ions/. 58 ​“Peshmerga Graduates the First Class of Arab Volunteers from Ninewa,” Al Jazeera, August 2, 2017, https://​goo​.gl/​H​Tw9g3. 61 Based on interviews with NPF representatives, members of the KTCC, and diplomatic officials involved with the Coalition, the NPF have received training as part of the Peshmerga through the KTCC, which is the Peshmerga training program supported by nine coalition members, including Germany, Italy, the Netherlands, and Hungary, among other nations. 62 Peter Henderson, ​“Iraq’s Christian Paramilitaries Split in IS Fight,” Al-Monitor, October 30, 2014, http://​www​.al​-mon​i​tor​.com/​p​u​l​s​e​/​o​r​i​g​i​n​a​l​s​/​2​0​1​4​/​1​0​/​i​r​a​q​-​c​h​r​i​s​t​i​a​n​-​p​a​r​a​m​i​l​i​t​a​r​y​-​f​o​r​c​e​s​-​n​i​n​e​v​e​h​.html. 63 ​“Christians Reclaim Iraq Village from ISIS,” CBS News, November 13, 2014, http://​www​.cbsnews​.com/​n​e​w​s​/​c​h​r​i​s​t​i​a​n​-​i​r​a​q​-​v​i​l​l​a​g​e​-​k​u​r​d​i​s​h​-​p​e​s​h​m​e​r​g​a​-​f​i​g​h​t​e​r​s​-​b​a​k​u​f​a​-​isis/; Cetti-Roberts, ​“Inside the Christian Militias.” Reports indicate that two Americans, and eight foreigners, in total, have joined the militia. Henderson, ​“Iraq’s Christian Paramilitaries”; Rebecca Collard, ​“Meet the Americans Who Have Joined an Iraqi Militia to Fight ISIS,” Time, March 27, 2015, http://​time​.com/​3​7​6​1​2​1​1​/​i​s​i​s​-​a​m​e​r​i​c​a​n​s​-​i​r​a​q​i​-​m​i​l​i​tias/. 64 ’’Sectarian Strategies, National Settings and the War Economy in Syria and Iraq,”NORIA, July 16, 2014, http://​www​.noria​-research​.com/​s​e​c​t​a​r​i​a​n​-​s​t​r​a​t​e​g​i​e​s​-​n​a​t​i​o​n​a​l​-​s​e​t​t​i​n​g​s​-​a​n​d​-​t​h​e​-​w​a​r​-​e​c​o​n​o​m​y​-​i​n​-​s​y​r​i​a​-​a​n​d​-​iraq/. 65 ​“Chronology of the Important Events in the World/​PKK Chronology,” Turkish Weekly, May 27, 2007, http://​www​.turk​ish​week​ly​.net/​2​0​0​7​/​0​5​/​2​7​/​a​r​t​i​c​l​e​/​c​h​r​o​n​o​l​o​g​y​-​o​f​-​t​h​e​-​i​m​p​o​r​t​a​n​t​-​e​v​e​n​t​s​-​i​n​-​t​h​e​-​w​o​r​l​d​-​p​k​k​-​c​h​r​o​n​o​l​o​g​y​-1976 – 2006/​. 66 Gokhan Bacik and Bezen Balamir Coskun, ​“The PKK Problem: Explaining Turkey’s Failure to Develop a Political Solution,” Studies in Conflict & Terrorism 34, no.3 (2011): 261. 67 5,000 fighters in Sinjar area and hundreds more along the Makhmour frontline, as of April 2016. An additional 3,500 troops in Turkey (Nusaybin area), as of 2013. Approx. 300 fighters in northern Syria, mainly Kobane (Ayn al-Arab), Derik (Al-Malikiyah), and Afrin regions. ​“Facts And Figures: Kurdistan Workers Party,” Radio Free Europe Radio Liberty, March 21, 2013, http://​www​.rferl​.org/​c​o​n​t​e​n​t​/​p​r​o​f​i​l​e​-​h​i​s​t​o​r​y​-​p​k​k​-​k​u​r​d​i​s​h​/​2​4​9​3​5​5​0​3​.html; ​“Leadership Reshuffle — PKK Makes Changes in Its Ranks,” IHS Global Limited, February 26, 2014, http://​www​.wash​ing​tonin​sti​tute​.org/​u​p​l​o​a​d​s​/​D​o​c​u​m​e​n​t​s​/​o​p​e​d​s​/​C​a​g​a​p​t​a​y​2​0​1​4​0​2​2​6​-​J​a​n​e​s.pdf; Mahmut Bozarslan, ​“Why the PKK Is So Interested in Mosul,” Al-Monitor, April 12, 2016, http://​www​.al​-mon​i​tor​.com/​p​u​l​s​e​/​o​r​i​g​i​n​a​l​s​/​2​0​1​6​/​0​4​/​t​u​r​k​e​y​-​i​r​a​q​-​s​y​r​i​a​-​p​k​k​-​i​n​t​e​r​e​s​t​-​i​n​-​m​o​s​u​l​.​h​t​m​l​#​i​x​z​z​4​R​s​Y​zmNki. 68 Cengiz Çandar, ​“Turkey Claims Iran Providing Logistical Support for PKK,” Al-Monitor, December 30, 2012, http://​www​.al​-mon​i​tor​.com/​p​u​l​s​e​/​o​r​i​g​i​n​a​l​s​/​2​0​1​2​/​a​l​-​m​o​n​i​t​o​r​/​i​r​a​n​-​t​u​r​k​e​y​-​s​h​i​i​t​e​-​s​u​n​n​i​-​p​k​k​.​h​t​m​l​#​i​x​z​z​4​F​3​J​33gkt. 69 In 2007, STRATFOR estimated the PKK makes $300 – 400 million per year from related activities. Another source puts the PKK’s budget at its peak in the 1990s at about $86 million per year. In 2002, Germany’s chief prosecutor asserted that ​“80 percent of narcotics seized in Europe were linked to the PKK or ​“other Turkish groups” which then have used the profits from illegal narcotics to purchase arms.” Glenn E. Curtis and Tara Karacan, The Nexus among Terrorists, Narcotics Traffickers, Weapons Proliferators, and Organized Crime Networks in Western Europe (Washington, DC: Library of Congress – Federal Research Division, 2002), 20, https://​www​.loc​.gov/​r​r​/​f​r​d​/​p​d​f​-​f​i​l​e​s​/​W​e​s​t​E​u​r​o​p​e​_​N​E​X​U​S.pdf; See also, ​“Treasury Sanctions Supporters of the Kurdistan Workers Party (PKK) Tied to Drug Trafficking in Europe,” U.S. Department of Treasury Press Center, February 1, 2012, https://​www​.trea​sury​.gov/​p​r​e​s​s​-​c​e​n​t​e​r​/​p​r​e​s​s​-​r​e​l​e​a​s​e​s​/​P​a​g​e​s​/​t​g​1​4​0​6​.aspx; Denise Natali, ​“Can Ocalan Rein In the PKK?” Al-Monitor, January 17, 2013, http://​www​.al​-mon​i​tor​.com/​p​u​l​s​e​/​o​r​i​g​i​n​a​l​s​/​2​0​1​3​/​0​1​/​o​c​a​l​a​n​-​t​u​k​s​-​p​k​k​.​h​t​m​l​#​i​x​z​z​4​F​i​f​cTzAR. 70 Shamal Abdullah, ​“Yazidis Form Militia to Protect Sinjar Mountain,” ANIA, August 6, 2014, http://​www​.aina​.org/​n​e​w​s​/​2​0​1​4​0​8​0​6​1​2​5​2​2​1.htm. 71Joanna Paraszczuk, ​“Yazidi Militias Fight IS in Iraq, Amid Kurdish Rivalries,” Radio Free Europe Radio Liberty, June 11, 2015, http://​www​.rferl​.org/​c​o​n​t​e​n​t​/​i​s​l​a​m​i​c​-​s​t​a​t​e​-​y​a​z​i​d​i​-​m​i​l​i​t​i​a​s​-​k​u​r​d​i​s​h​-​r​e​g​i​o​n​/​2​7​0​6​6​7​8​0​.html.